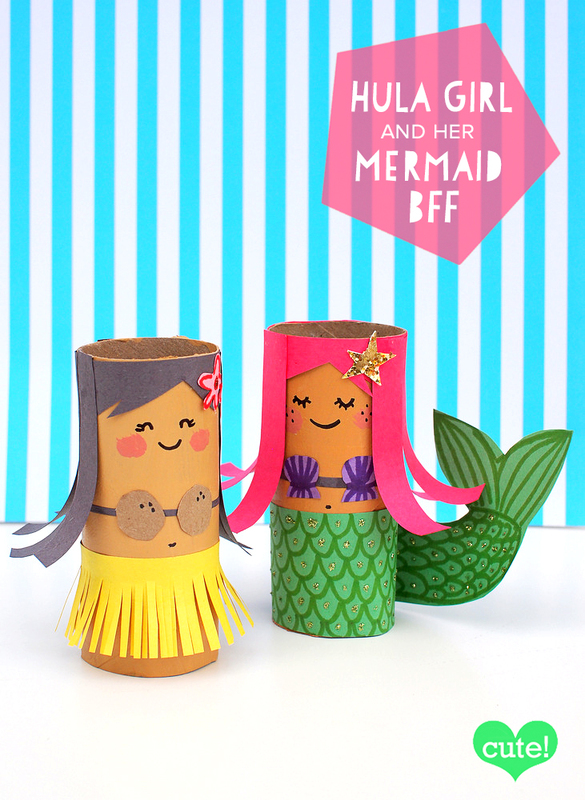 Here’s all you’ll need to make this adorable craft! 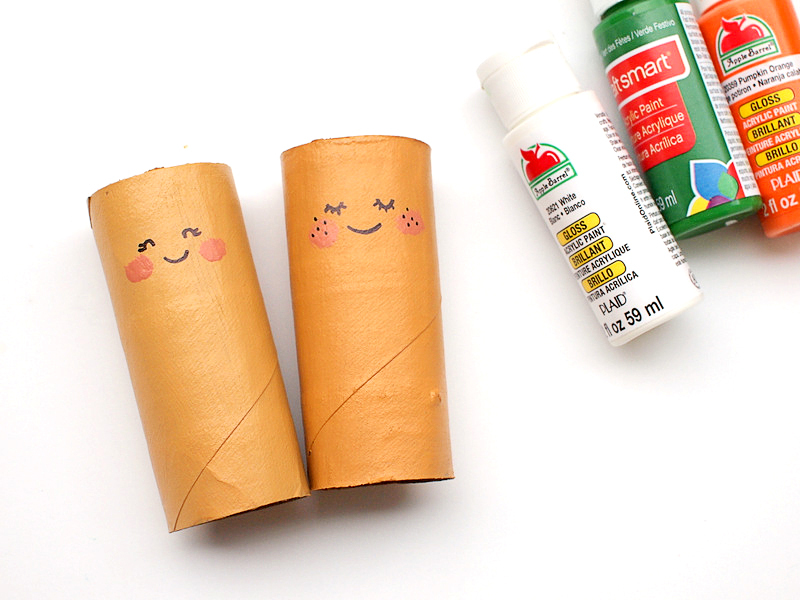 First, paint your toilet paper tubes in peach, tan, or brown. (I didn’t have any of those colors, so I mixed together orange, green, and white to create a nice tan color.) Once the paint is dry, draw on the faced with your Sharpie marker. 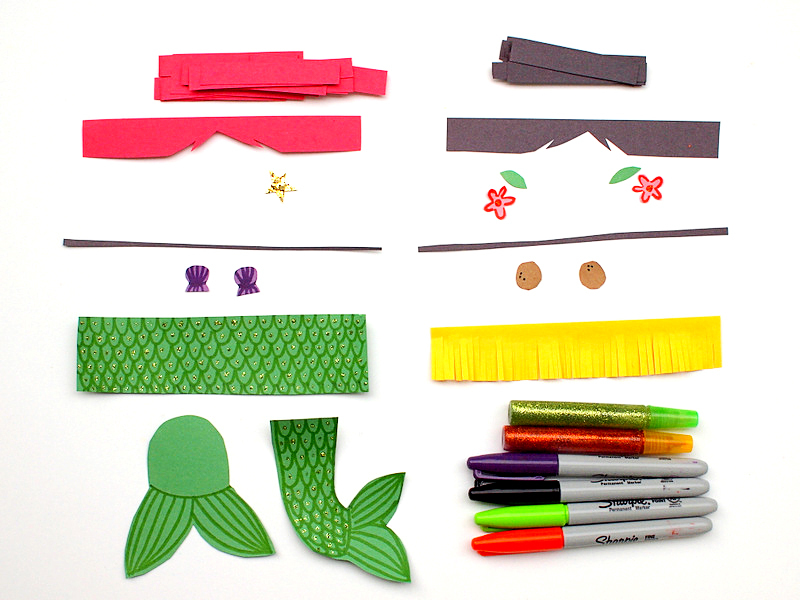 Cut out the hair, bra, skirt, and tail bits from brightly coloured construction paper. 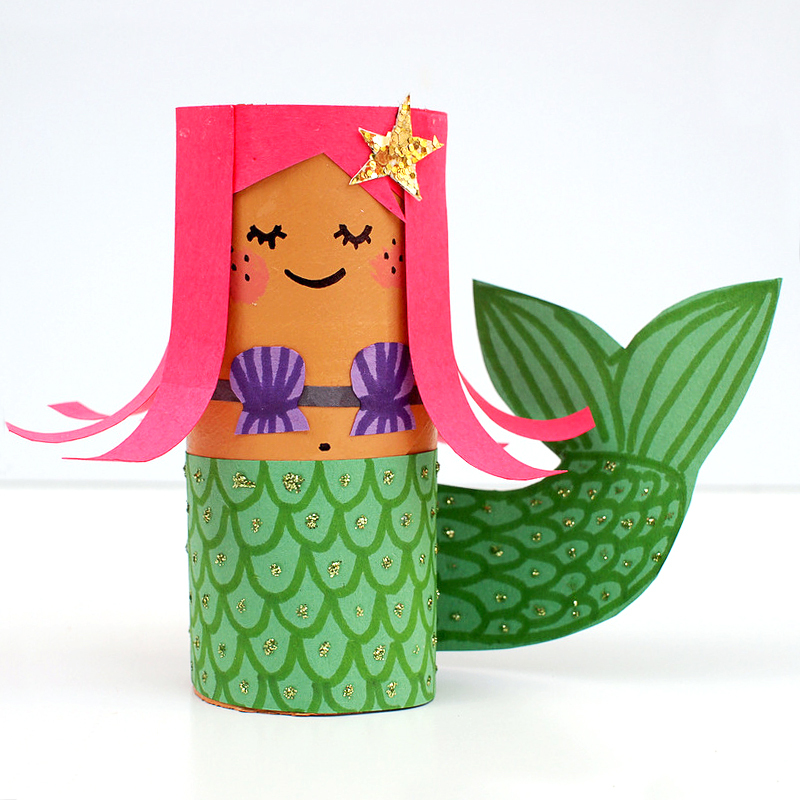 Use your glitter glue pens and Sharpie markers to add the fun details. To make the hair, I simply cut out a long horizontal piece to make the bangs, and shorter pieces to make strands of hair. I made two tails for the mermaid and waited until the end to decide which one I liked the best. 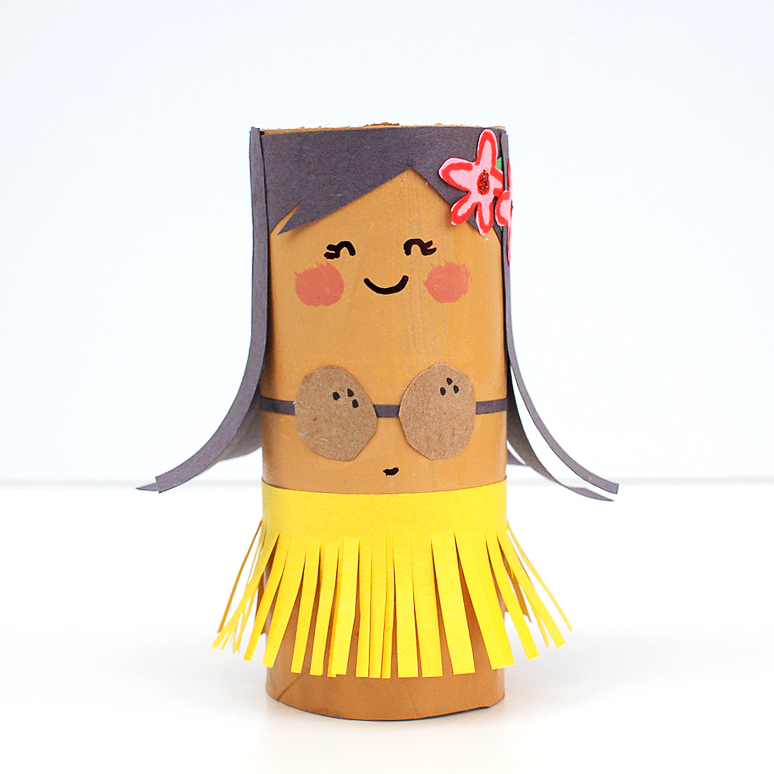 To make the grass skirt, I cut some paper fringe. 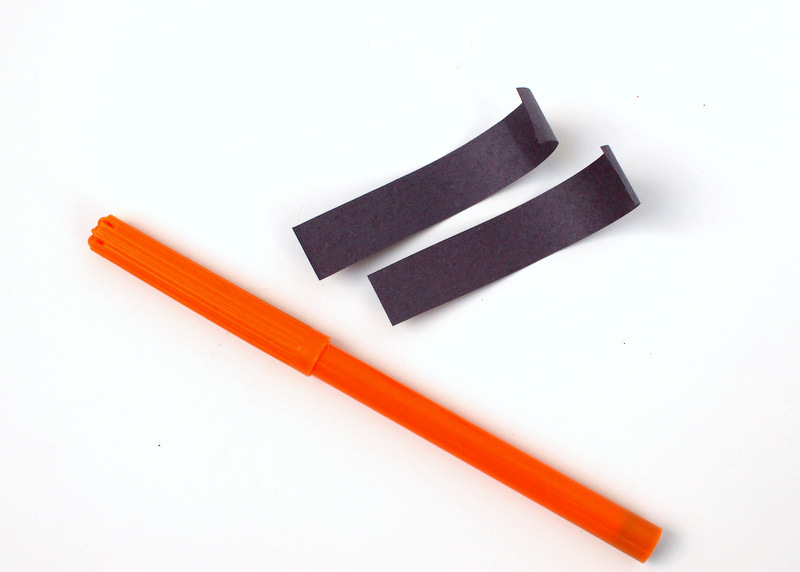 Curl your construction paper strips around a marker to create wavy hair. 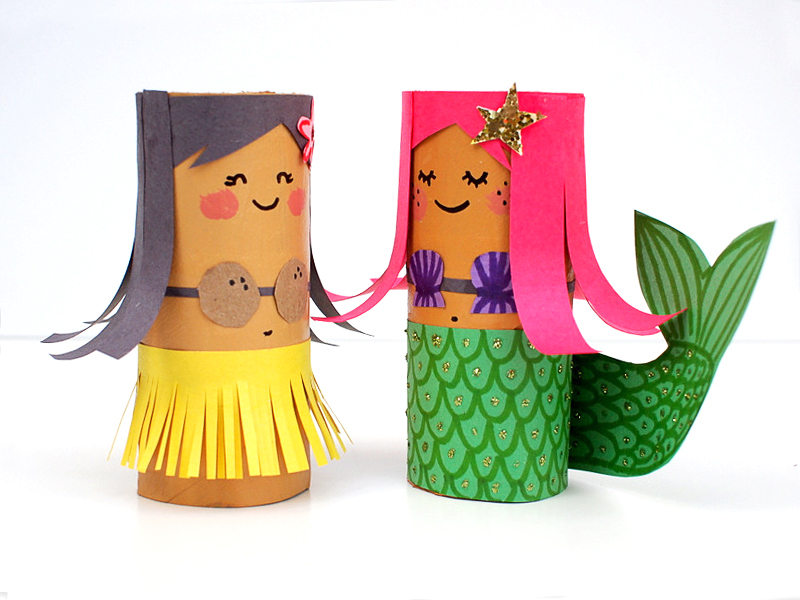 and her lovely mermaid friend!